A gigantic Hercules has since 1717 gazed over the German city of Kassel. 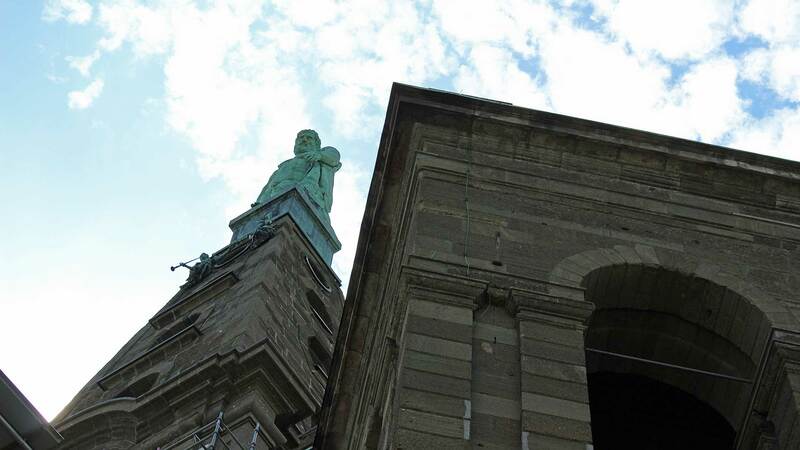 From a height of 526 meters above the sea, he keeps constantly an eye over the city of Kassel with 193,000 inhabitants. The Hercules monument is the main landmark of Kassel and can be seen from all over town. The Hercules statue is made of copper. Hercules standing on top of a pyramid, which stands on an octagon. 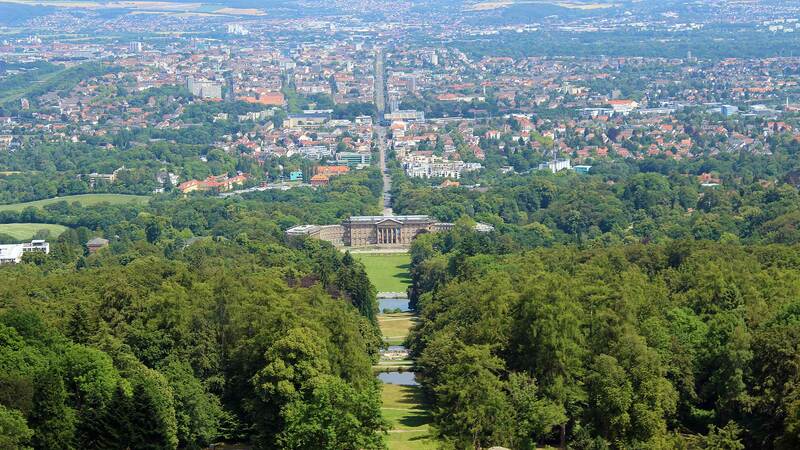 The monument is located in a large park called Mountain Park (Bergpark) Wilhelmshöhe. The park was established in 1697 and between 1701 and 1717 the gigantic Hercules was built. From the park’s lower part leads a staircase with over 200 steps to the top. Up there, the view is very nice. Mountain Park with the Hercules is since 2013 added to UNESCO’s World Heritage List. The way to Hercules Kassel?